Traditional Chinese medicine (TCM), has been practiced for more than five thousand years, is a complete ancient medical system that takes a deep understanding of the laws and patterns of nature and applies them to the human body. TCM believes that the human body is a microcosm of the Universal macrocosm. Therefore, humans must follow the laws of the Universe to achieve harmony and total health. Even today TCM practitioners use these essential theories to understand, diagnose and treat health problems. In TCM, "harmony" is the ultimate goal. So, when nature's Qi undergoes change as it does seasonally, a person's internal Qi will respond automatically. If, for any reason, it can't make a smooth transition to the energy of the next season, TCM understands that illness will result. Often Western Complementary and Alternative Medicine (CAM) practitioners and their patients or clients derive their understanding of TCM from acupuncture. However, acupuncture is only one of the major treatment modalities of this comprehensive medical system based on the understanding of Qi or vital energy. These major treatment modalities are Qigong, herbal therapy, acupuncture, foods for healing and Chinese psychology. 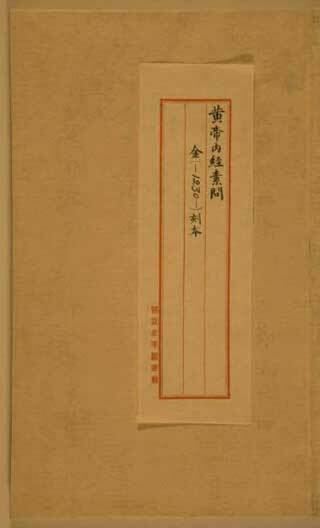 A digitized copy of the Sun Wen Huangdi Neijing.djvu, text only in Chinese, is available at Wikipedia.com"
Meridians, or channels, are invisible pathways through which Qi flows that form an energy network that connects all parts of the body, and the body to the universe. The ancient medical text The Yellow Emperor's Inner Canon (Nei Jing) states: "The function of the channel (meridian) is to transport the Qi and blood, and circulate yin and yang to nourish the body". The energy practice of Qigong, with its postures and movements, also affects the flow of Qi. The energy pathways and the Organ Systems they link provide TCM with a framework for identifying the root cause of health problems and the diagnoses to heal them. Meridians work by regulating the energy functions of the body and keeping it in harmony. If Qi stagnates for too long in any meridian, it can become blocked and eventually turn into matter, setting the stage for conditions that can create a physical mass. TCM Meridian Theory states: "As long as Qi flows freely through the meridians and the Organs work in harmony, the body can avoid disease". The study of Qi phenomena may help bridge some of the apparent difference between Western and Eastern culture. Several years ago, I was lucky to notice that some scientists contributed novel experimental works on Qi, and subsequently, the papers by Ohnishi et al. (2005) (Ohnishi first attended the school of Nishino Breathing Method in Tokyo over ten years ago, and three years later, the collaboration with Mr. Nishino started in order to find a scientific basis for Qi) stimulated the philosophical discussion by Flowers (2006). [Editor's Note: These and all other citations are spelled out in section 12. References for "An Approach to the Nature of Qi"]. As Flowers beautifully described, in the Christian West, God was the center of everything as opposed to Qi being the center of everything in the East. Qi may be another name of 'life', Qi may represent the entity of life itself (Ohnishi et al., 2007). Then, the understanding of Qi may shed light on other aspects of biological sciences. These articles prompted us to write this chapter covering the nature of Qi as well as its philosophical aspects and the significance in the modern civilization because the true foundation of TCM is Qi. Qi (in Chinese, equivalent to Ki in Japanese) has been used as a healing technique in China for 4,000 years. In Japan, Qi has been known to have a healing effect at least for 1,500 years (Ohnishi et al., 2007). The origin of the character of Qi was traced back to 3,500 years ago. Confucius (who lived approximately 2,500 years ago), taught moral and ethical behavior. In his Analects, the character of Qi appeared in four locations. It expressed the concept related to breathe, food and vitality. Taoism, which was founded by Lao-Tze (who was believed to have lived around the time of Confucius or 100 years later), has had more influence on Qi and Qigong. In the book Zhuangzi, which compiled the thoughts of Lao-Tze in the third century BC, the character of Qi appeared thirty-nine times. What it explained was 'Qi exists throughout the universe. When it assembles, it appears as a human life. When it disassembles, the human will dies. Therefore, do not worry about life and death. Live naturally and freely as you are'. The concepts of Qi, Yin/Yang and meridians formed the foundation of Chinese medicine. A central medical classic, The Yellow Emperor's Inner Canon teaches us: 'It is from, calm, indifference, emptiness, and nondesiring that true Qi arises. If the spirit is harboured inside, whence can illness arise? When the will is at rest and wishes little, when the heart is at peace and fears nothing, when the body labours but does not tire, then Qi flows smoothly from these states, each part follows its desires, and the whole gets everything it seeks'. The Chinese philosopher, Mencius (372•289 BC) described Qi in terms of moral energy, related to human excellence. This reinforces the argument that Qi is contextual, fluid in nature and not a fixed entity. Qi is pronounced "chee". 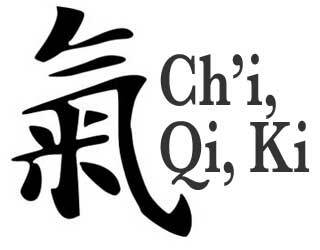 You may see it spelled "Chi" or even "Ki" in Japanese, but they all carry the same meaning. What is meant by Qi? The concept of Qi is based on the ancient Chinese initial understanding of natural phenomena. That is, Qi is the most basic substance of which the world is comprised. Everything in the universe results from the movements and changes of Qi. Man depends on nature for his production and growth and must observe the common laws of the world. As everything in the world comes from the interaction of Heaven Qi and Earth Qi, man must breathe to absorb Heaven Qi and eat to absorb Earth Qi. Qi was originally a philosophic concept. The ancient Chinese philosophy holds that Qi is the most basic substance constituting the world. This concept was introduced into TCM and became one of its characteristics. Accordingly, TCM also believes that Qi is the most fundamental substance in the construction of the human body and in the maintenance of its life activities. After a comprehensive survey of the statements on Qi in TCM documents, we have come to the conclusion that the meaning of Qi in TCM has two aspects. One refers to the vital substances comprising the human body and maintaining its life activities. The other refers to the physiological functions of viscera and bowels, channels and collaterals. For example, clean Qi, turbid Qi, and the Qi of water and food (food essence) are substantial Qi, while the Qi of the heart, liver, spleen, kidney, stomach, and the Qi of the channels and collaterals are functional Qi. In TCM, Qi is considered to be the force that animates and informs all things. In the human body, Qi flows through meridians, or energy pathways. Qi is the most basic substances that constitute the human body and maintain its functional activities. Generally speaking, Qi is an essential substance that is full of vigor and flows fast. Qi is attributed to Yang, because it is mobile and functions to move and warm. In this sense, Qi is also named Yang Qi. Qi, that which defies definition, is the key concept in Eastern medicine, Eastern philosophy, as well as in martial arts (Yuasa, 1993). It naturally follows that Qi is an important element in complementary and alternative medicine (CAM). Many authors have presented work on the effects and nature of Qi (Chang, 2003; Lee, 2003; Chen, 2004; Olalde, 2005; Hankey and McCrum, 2006; Shinnick, 2006; Weze et al., 2007; Abbott et al., 2007) [Editor's Note: These and all other citations are spelled out in section 12. References for "An Approach to the Nature of Qi"]. For the pre-modern Chinese, Qi comprised both yin and yang, with duality and interdependence in operation. In this thinking, to narrowly define Qi is considered unnecessary. The workings of nature were explained as the workings of Qi. Qi was all encompassing. Humans were subject to the workings of Qi as well as being agents of Qi, every person being so in different ways and at different times. Still, we can not precisely describe Qi. We cannot objectively say 'Look! This is Qi'. When Western people talk about Qi in terms of the healing arts, Qi seems to be understood as 'vitality' or 'life-energy'. For those who are studying Chinese medicine, Qi is presented as being a substance flowing in our body along the 'meridians'. In the view of martial artists, Qi is a source of spiritual strength for winning. When an Eastern philosopher defines Qi, it is a function of life, which permeates through the life of an individual and the life of the universe. Physicists see it as a new kind of 'energy', and still, brain physiologists approach it as 'information' or 'entropy' (Ohnishi and Ohnishi, 2009a). Thermographical studies demonstrated that skin temperature was raised by 3-4ºC when exposed to Qi emitted from Qigong healers (Machi, 1993). When Qi was received from Nishino, instructors of his school or from students who practice for many years, a warm sensation was felt. This again supports the idea that Qi has an infrared radiation component (Ohnishi et al., 2007). Depending upon one's profession, discipline and necessity, Qi is understood differently, this looks like reports from many blind persons touching different parts of an elephant. Qi has energy and entropy aspects. While it is often described in the West as energy, or vital energy, Qi is the energy of the body, of the meridians, of food, of the universe. The term Qi carries a deeper meaning. Qi has two aspects: one is energy, power, or force; the other is conscious intelligence or information. Many believe Qi is an 'energy'. However, it is interesting to note that there is a subtle difference in understanding between the Chinese and the Japanese. The former seems to believe that it is a 'substance' or 'matter' flowing in and through our bodies, and that it can be emitted from the body of a Qigong healer. In contrast, the Japanese considers that it is a form of energy. An interesting concept was published by Shinagawa's group that treats Qi as a form of 'information' (Shinagawa, 1990). Flowers considers Qi as being about 'relationships and patterning'. These concepts are another way of describing 'information'. The most interesting practice in Nishino Breathing Method (NBM) is called the Taiki-practice (a method developed by Kozo Nishino, the founder of the NBM, to develop the level of individual's Qi through the Qi communication between an instructor and a student). Through the study on the Taiki-practice, Ohnishi et al. (2006) raised the possibility that Qi-energy may carry information, and that the information is in a form of 'entropy'. If Qi consists of simple energy, then, Qi effects might be mimicked by an instrument. However, if Qi involves entropy, it may be difficult to artificially reproduce the entire Qi effect. China has, in recent decades, spent an inordinate amount of resources on experiments to determine the existence and nature of Qi. China is easing up on this research for lack of concrete breakthroughs. But the quest to define Qi continues, with there being no breakthroughs that we know of. Whether someone in China or anywhere has the Holy Grail hidden from view I cannot say, but in the report by Ohnishi, it is claimed that the effects of Qi energy can be measured. The question is also posed of what Qi actually is. Qi acts as Subtle Energy? We have still not defined Qi. [Click here to continue to section 3, "The Formation of Qi"]. 1-2: The History and Concept of Qi. 3: The Formation of Qi. 4: The Functions of Qi. 5: The Movement of Qi. 6: The Classification of Qi. 7: Modern Investigations on Qi. 8: The Significance of Studying Qi. 9: The Comparisons between Qi and Bioenergy. 10: The Effects of QIHM and QRHM on Energy Metabolism. ^ College of Life Science, Dalian Nationalities University, Dalian, China, is given as the professional location of Xing-Tai Lii. ^ Norman Bethune College of Medicine, Jilin University, Changchun China, is given as the professional location of Jia Zhao. Graphics added by Qi Encyclopedia.